Boston once again came away with another impressive win in Phoenix against the Suns, 102-94. Jayson Tatum once again shined on the stage while Al Horford and Marcus Morris continued to be the lynchpins of the offensive playmaking and shotmaking department. With Marcus Morris back in the lineup, the Celtics started off scorching hot in the first quarter, outscoring the Suns 31-15. Rookies Jayson Tatum and Josh Jackson had a mini duel going on the first period trading buckets. Tatum had 9 in the quarter while Jackson had 12 of the Suns 15 points. The Celtics ball movement and pick-and-roll game was in full swing with Horford and Rozier running the offense. Horford had an incredible first quarter with 7 points, 5 rebounds and 4 assists. However, Phoenix started to get chip away at the Celtics lead in the 2nd quarter. Tyler Ulis, who hit the heartbreaking game winner against Boston last year, picked up where he left off and led the charge of the 2nd unit for the Suns. The Celts seemed to be a step slow in the quarter as the back to back may have resulted in some fatigue. Phoenix out-rebounded Boston in the half and caused the green team to turn the ball over and by the end of the half, the Suns made it a three point game with the Cs leading 48-45. In the third, the Celtics got back into a bit of a groove on offense. Marcus Morris really started to percolate on offense and finished with twenty points by the end of the quarter, including three free throws on a foul at the last second of the quarter. Morris came down awkwardly on the shot and tweaked the same right ankle he injured Friday night in Portland. Troy Daniels of the Suns started to hit some three pointers and Phoenix tried their best to stay in the game but Boston managed to extend its' lead to 77-65. Early in the 4th quarter, Tyler Ulis made it his mission to get the Suns back into the game, and he hit two straight buckets to make it a 77-69 ball game. 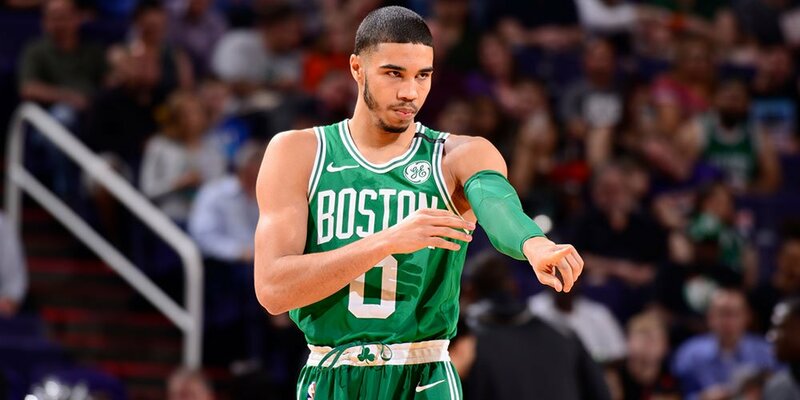 However, Boston had an answer for Ulis and after two threes by Abdel Nader and Al Horford, as well as a couple Monroe buckets, the Celts lead the game 89-73. From that point forward, the Cs had the game in the bag and while Phoenix cut it to 10 multiple times, the Celtics just kept pushing and closed the game out. For the Celtics, Jayson Tatum led the way in scoring with 23 points on 10-18 shooting. Al Horford played very well being the swiss army knife adding in 19 points, 9 rebounds and 7 assists. Marcus Morris scored 20 points off the bench in three quarters as he had to leave the game because of an ankle sprain. Terry Rozier chipped in 16 points and 7 rebounds. For the Suns, Josh Jackson impressed with 23 points and 6 rebounds while Tyler Ulis added in 19 points, 8 assists and 5 rebounds. Winners of their last four games, the Celtics (51-23) will now fly to Utah to take on the Jazz on Wednesday evening in Salt Lake City. Tipoff is set for 9:30 E/T.